RANGELY I Tickets for the Rangely High School Junior/Senior Prom are now on sale. The prom will be held April 11 at the Rangely Junior/Senior High School auditorium. Tickets are on sale through April 9 and will cost $30 for single tickets and $50 per couple. 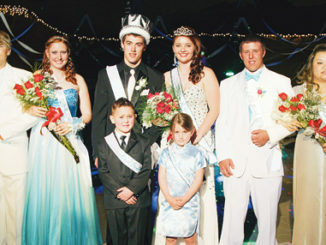 Photos will be taken at 7 p.m. in the auditorium, the grand march will take place at 8 p.m. and the dance starts at 9 p.m.
Dear Editor: Over the past weekend of April 16, Rangely High School held an after-prom party called Rowdy Worm. Throughout the night, from midnight to five in the morning, students were running around playing games.